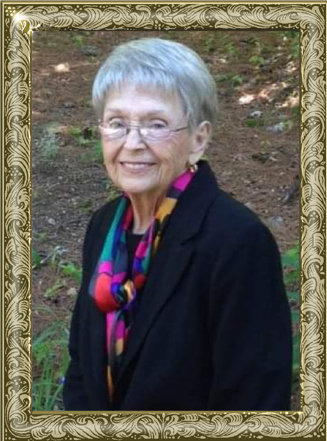 Ms. Greta Patricia “Pat” Jones, 86, of North Wilkesboro, passed away on Monday, March 25, 2019 with family by her side. Pat was born on August 28, 1932 in a small coal mining town in Kimball, West Virginia she was the eldest child of Marion Tandy and Oneta Jones. Pat was fiercely independent, confident, and was ready with a quick wit. From her humble roots in Kimball, West Virginia, Pat educated herself and held several careers. She lived in St. Martin where she helped found a school. During her life Pat was a dental hygienist, worked for the US Government and worked in early childhood development. She was an avid reader and valued education and a strong faith in God. In retirement, Pat has loved and served her Church Community. Pat is survived by her daughter, Robin Walsh; son, Todd Owings; grandson, Matthew Walsh; brothers, Dean Jones, David Jones; sister, Beth Walker, and many nieces and nephews that were close to her heart. The family will conduct a memorial service on Sunday, April 7, 2019 at 2 p.m. at St. Paul’s Episcopal Church: 200 West Cowles Street Wilkesboro, NC 28697. Rev. Kedron Nicholson will be officiating. In lieu of flowers, memorial may be made to St. Paul’s Episcopal Church, P.O. Box 95 Wilkesboro, NC 28697 or The American Cancer Society, P.O. Box 22478, Oklahoma City, OK 73123. Adams Funeral Home of Wilkes has the honor of serving the Jones Family.